After having his broken left hand X-rayed once more and consulting a specialist, Kevin Love now knows what he needs to do next. 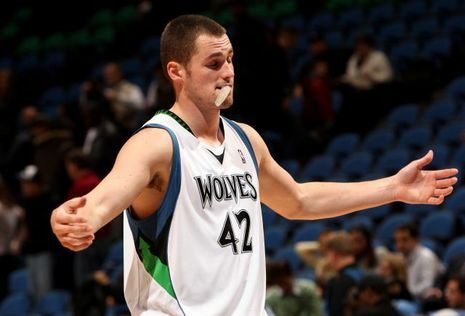 "I've run out of suits," the Wolves' second-year forward said of his inactive-list wardrobe. "I need to get a few more." PLAYA VISTA, CALIF. - July is far away. 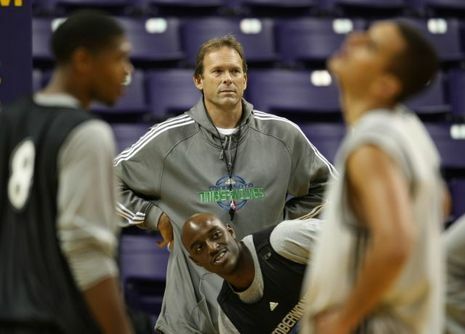 Timberwolves basketball boss David Kahn made move after move last summer to position his team for next summer's free-agency bonanza. Until then, though, the players he has assembled for this season seemingly -- and metaphorically, of course -- walk the plank. PORTLAND, ORE. - The Timberwolves lost their 12th consecutive game with a 106-78 decision at Portland that coach Kurt Rambis had hoped his team would treat like the playoffs.